As a charitable, community-based association, the YMCA of Niagara is committed to protecting your right to privacy. The personal information you share with the YMCA will be used to support the work of the YMCA. For your safety, YMCA Health and Fitness centres are monitored by video surveillance cameras. Why does the YMCA gather personal information? How does the YMCA ensure privacy protection? 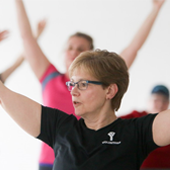 There are safeguards in place that protect the privacy of you and others involved in the YMCA of Niagara. We do not sell your information to third parties. Our procedures and systems are designed to protect your information from error, loss and unauthorized access. The YMCA assumes implied consent for collection, use and disclosure of personal information as it relates to the work of the YMCA. We monitor our compliance with applicable privacy legislation. We appreciate your assistance in making sure your information is up to date. When it comes to privacy, it’s a matter of principle.